Do you run the other way whenever you hear words like Web Design or HTML? 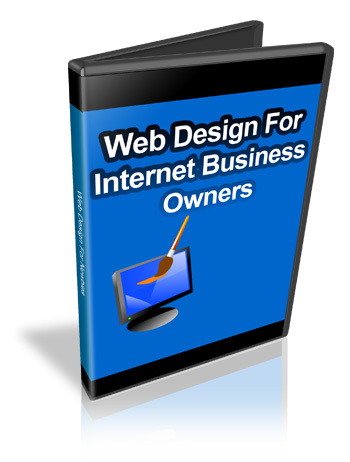 You don't need to have technical knowledge to create websites. Web Design for Internet Business Owners is your solution to creating your web presence. 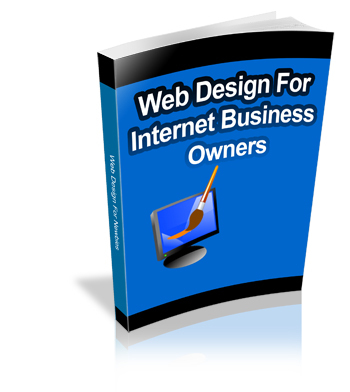 If you don't know to create a professional and easy to use website, then this will be the most important letter you read right now. Stop losing potential sales and wasting your time. Start building your web presence because it's not as hard as you may think. Fact: People will judge you by your website design. But don't let the fear of not knowing where to start or not knowing computer programming stop you, because it's easier than you think. You will lose or gain sales depending on your approach to how your site looks and how usable it is. You've seen ugly sites everywhere and it affects their sales dramatically sometimes without their knowing...and it doesn't be that way. Some Internet business owners take a blank white page and fill it up with buy now links or banner ads, and they expect to sell something. They often don't sell anything and get frustrated and give up. Sound familiar or sound like someone you may know? Why is Web Design and Ease of Use Important to your users? Trust! That's right. Your presentation gains trust initially. So...If you have bad presentation, your business will go to your competitors and you don't want that right? Without gaining trust, you won't gain as many sales as your business deserves. People judge covers more so initially than they do your product because it's what they see first. You see...no matter what people say about how you shouldn't judge a book by it's cover; by human nature, people will judge especially if they have to pull their wallets out. If your website does not have two things -- a professional design and is easy to use, then you will send a bad image for your business. Imagine...you are driving down the street looking for gas stations. There are two gas stations next to each other. One of them is clean, a few cents more expensive, nice looking, while the other one is dirty and no one is going there. Which one will you go to? If you love your car enough, you will likely go to the clean one because you presume that you are getting good gas. OK, by now you get the point. Your impression on the looks of the business will reflect greatly on the products themselves. Professional does not mean lots and lots of graphics, it just means it requires a nice looking presence and most importantly your visitors can find what they want fast without having to go through unnecessary loopholes. Secret: Web sites that are designed to have a professional look and at the same time, are user friendly, can maximize the number of potential visitors to convert into customers or leads. You will increase your sales. Now you can't predict exactly how the end user will view your web pages so your site needs to be compatible with a diverse variety of browsers, etc.